Indian Institute of Management, Amritsar successfully conducted the second edition of its annual Strategy & Operations Conclave, Sankshetra’18, on 17th January 2018. There were two panels, one for Strategy and one for Operations under Sankshetra. For the Operations Panel, the dignitaries discussed the various challenges of operations in the ever growing, and ever demanding fast paced market. With the amalgamation and emergence of technologies like ERPs, driverless cars, drones, virtual warehouse management, IoT, block chain, GPS etc., it becomes more important than ever to maintain the right balance between the disruptive technological landscape and the primary objectives of standardization, fast and regulated supply to ensure maximum customer satisfaction. The panel also highlighted the importance of a proper coding and identification mechanism with the proper distribution flow to make the supply chain compatible and eligible to meet the needs of the growing business. For this it becomes imperative that core human values work like punctuality, integrity go hand in hand with these new disruptive changes. While discussing the ‘Augmenting Businesses through Emerging Technologies’, the panel for Strategy discussed the way these disruptive technologies are helping the companies adopting them to ensure their survival. Whereas the other companies, which do not really see the need to adopt the Digital, these technologies could provide an added incentive to enhance their efficiencies and profitability by decreasing costs. Although there are clear advantages to adopt these technologies, the challenge lies in acquainting the industries to change their existing business models, and navigating these players to adapt to this change. The additional threats both by staying old school and missing out on opportunity costs could also impact the organization’s overall growth. With data being the oil for all the operations, it becomes important to seal all the loopholes that could arise due to the over reliance on data. The panelists also stressed on the importance of proper analysis by an organization to see whether digital is the way, and if there are additional advantages, and then subsequently altering or following the business models. The event, with both of its insightful and informative discussions, was a huge success and enlightened the students about the importance of data, technology and human values in the corporate world. 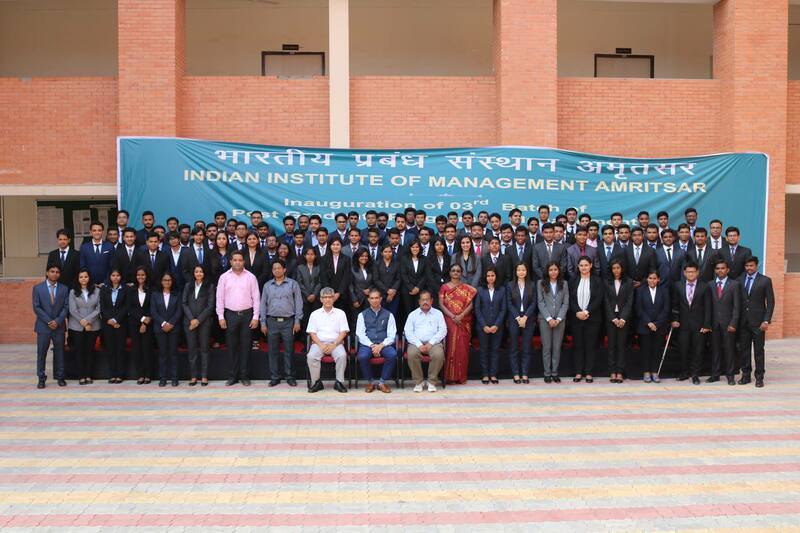 With the new year begun on a right note, IIM Amritsar pledges to organize more such information-packed, candid discussions on latest industry trends in future.